note that PLwD is abbreviation for Person/Persons LIVING with Dementia. 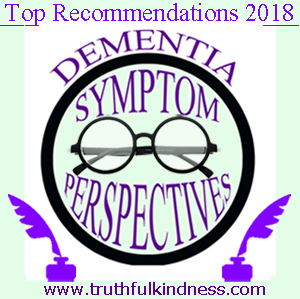 Truthful Kindness’ recommended Blogs and Websites by Persons Living with Dementia symptoms is below. (i add “symptoms” to the new “PLwD” abbreviation because there is some disagreement on issue of whether those with Mild Cognitive Impairment should be included in “PLwD” term.) My hope is for this adaptation to minimize claims of sharing inaccurate information. from first-person perspective of the person experiencing dementia symptoms. Some entries primarily provide content on what it feels like to live with symptoms and diagnosis, while others may mostly provide strategies for Living beyond diagnosis. Some have both symptoms and strategies. Some are mostly other concerns (such as human rights, research, funding, etc). Frequency of updates is not top priority … but is a strong consideration for this page of recommendations. These recommendations include only www websites. Have not included FaceBook pages as blogs, due to spam problems. Additionally, due to conflict with newly-disclosed FaceBook procedures, a growing number of my friends will no longer visit anything related to FaceBook, so i suspect PLwD are not the only persons trending this. … and, of course, there are Dementia Action Alliance groups in USA and various countries, which have sharing first-person perspective of PLwD as high priority. 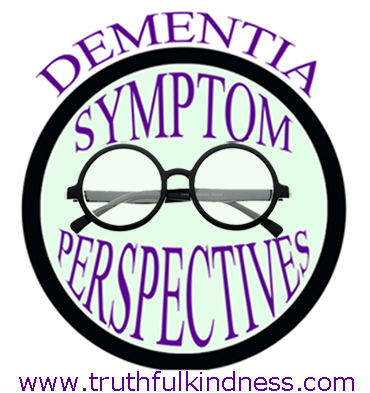 * Admin issues: SHARE dementia awareness thru buttons below. Feel free to leave your thoughts in the form of comments, but please filter your comments with truthful loving kindness to all concerned. If interested in receiving notice of future blog postings, subscriptions are available through a “follow” button in the upper left corner (MS Explorer) or lower right (Safari, Mozilla Firefox and Chrome). If there is an advertisement below, I have no control over what is shown. Copyright for this text exclusively by Truthful Kindness © 2018Apr16. Tags are: alzheimers, blog, dementia, persons living with dementia, persons with dementia, PLwD, .